My friend Patricia told me about how you could swim with leopard sharks in La Jolla. That sounded like an adventure! Leopard sharks are not aggressive. They are an embarrassment to the shark community. They are bottom feeders with wee little mouths. Anyhoo we dressed up in wet suits and our snorkel gear and headed out into the water. No leopard sharks. Just a few vague shadows passed under us. 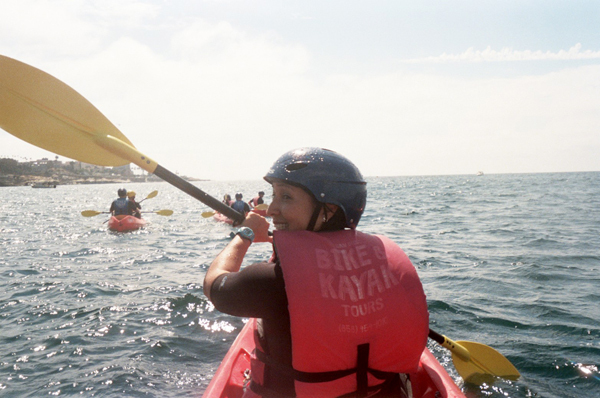 Our guide felt bad and upgraded us to the sea kayak/cave snorkel tour. Yes, please! The water was really cold so I appreciated my wet suit. We definitely got wet. We tipped over once trying to get out to sea and once coming in. 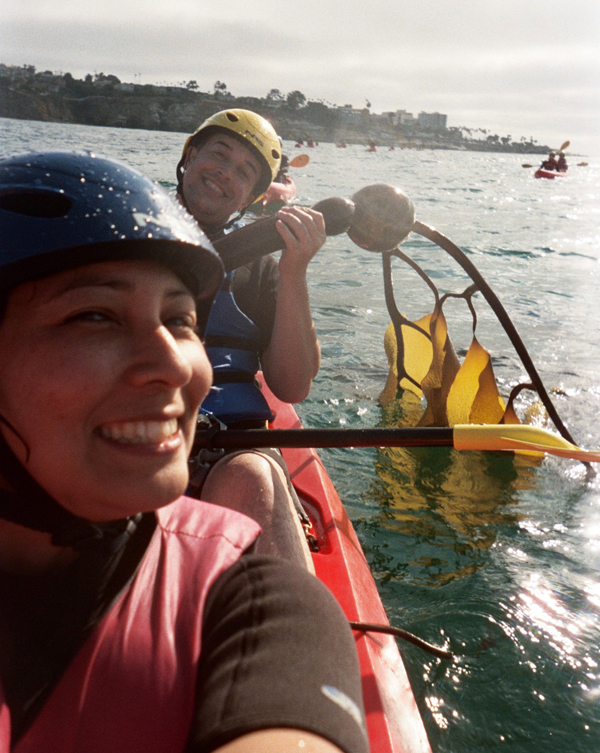 Not bad for our first time sea kayaking. It is quite a workout. I has suspicions I was doing all the paddling. 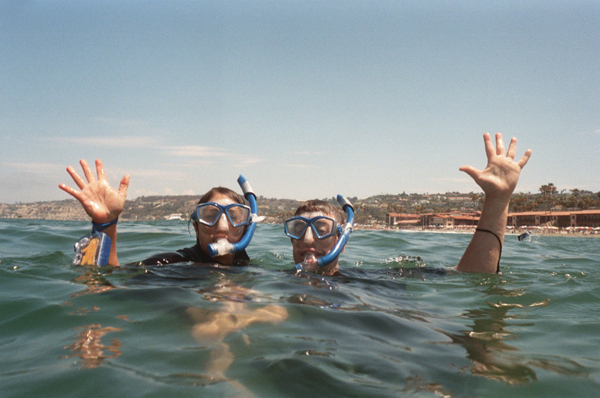 I am so glad I had experience snorkeling in the warm, calm waters of Hawaii. We were out on a yellow flag day and we went out pretty far. 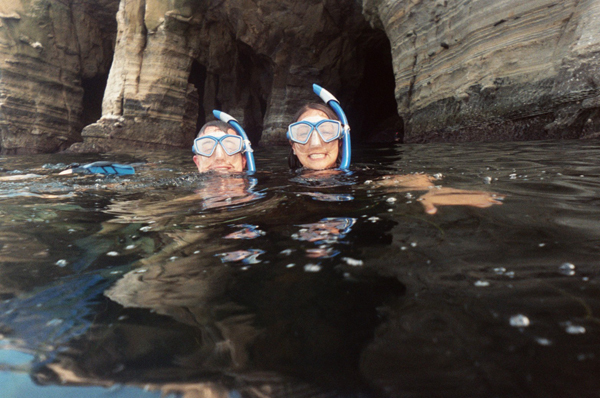 Once we paddled over to the caves we tied all the kayaks together and rolled into the water in our snorkel gear. Our guide took us back into several caves. 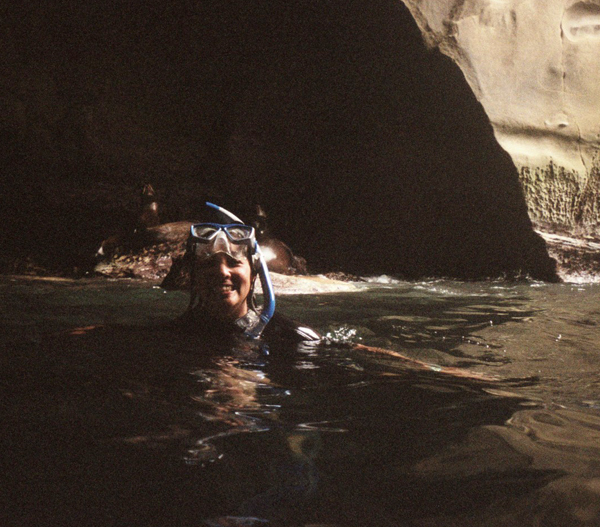 Some have such a narrow entrance you had to swim with your arms at your side. Exciting! 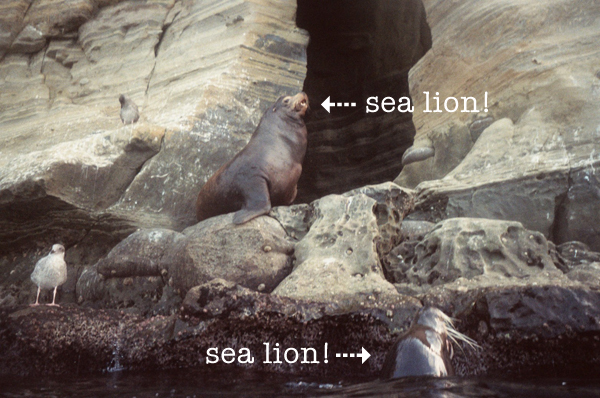 Inside many of the caves were big, sleepy sea lions ORK ORK ORKING away. Thankfully they are pretty used to humans and ignored us. We got pretty close! Aaron had a sea lion swim right under him! Check out the video he recorded. 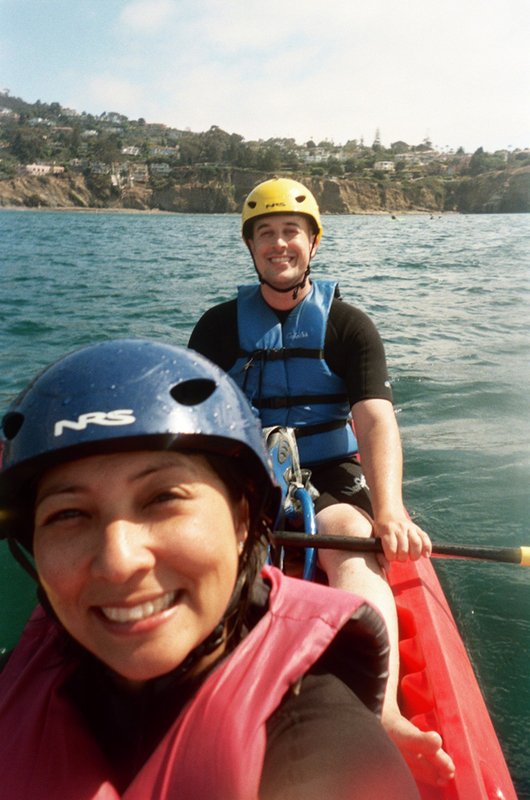 We were in the water all afternoon before paddling back to shore. On our way back, Aaron saw something strange in the water. 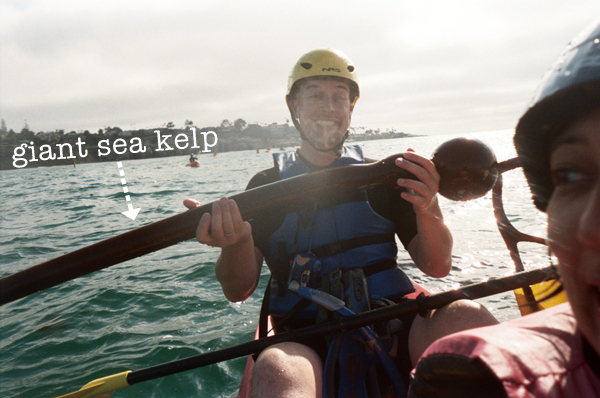 Turns out it was a giant sea kelp! An exciting find at the end of a great day. Afterwards we drove up to Mt. Soledad for some pictures then ate fresh seafood for supper in La Jolla.